"I′m a big fan of mastermind groups. I′ve used them for over thirty years and know the power they provide everyone in such a group. I′m delighted to see this inspiring, easy–to–follow manual. Read it and follow what it suggests." "Absolutely the best practical guide to creating, profiting, and growing your business with your own mastermind group. A must–read for anyone who wants to succeed in ANY business!" "I have been part of various mastermind groups for over twenty years that have easily made me millions. Without a doubt this book is the most advanced definitive guide to why and how any serious human should be a part of one." 1 What Is a Mastermind Group? 2 Case Studies: Inside Three Mastermind Groups. 3 A Peek inside a Mastermind. 6 How to Run a Mastermind Meeting. 8 The Imaginary Mastermind Group. 9 Other Views of Masterminds. 10 Common Questions (with Answers). 11 What the Heck Is Group Dynamics? And What Does It Have to Do with Masterminds? (Jillian Coleman Wheeler). 12 Selecting the Right People for Your Mastermind Group (Michael Licenblat). 13 Managing Your Meeting Monsters: Identifying the Cast of Culprits Who Threaten Productive Meetings (Craig Harrison). 14 10 Tips for Facilitating Mastermind Group Meetings (Karyn Greenstreet). 15 The Truth about Masterminds (Bill Harris). 16 The Inner Counsel Think Tank: The Mastermind Group That Advises You from Within! (Peter C. Siegel). 17 Collective Genius Groups: How to Unlock the $100,000+ Genius in You! (David Garfinkel). 18 The Simplest, Fastest Mastermind Group (Phil Alexander). 19 How a Mastermind Group Can Transform Your Career (Mitch Meyerson). 20 Explosive Dances of Creativity (Bob Scheinfeld). 21 The Benefits of a Mastermind (Dr. Larina Kase). 22 The Seven Secrets of Successful Masterminding (Andy Fuehl). 23 Multiply Your Ideas with Your Mastermind (Cathy Stucker). 24 Turning Life into a Success Story: How a Former U.S. Marine and College Dropout Turned His Life into a Success Story (Tom Beal). 25 It s Time for Plan B Brainstorming: Playing the Brain Game for Gain (Craig Harrison). 26 Masterminding for Musicians (Bill Hibbler). 27 Masterminding for Internet Marketers (Bill Hibbler). 28 Masterminding for Christians (Elena Hibbler). 29 Masterminding for Software Developers (Calvin Chipman). Special Free Gift from the Authors. Joe Vitale is President of Hypnotic Marketing, Inc., a marketing consulting firm. He has been called "the Buddha of the Internet" for his combination of spirituality and marketing acumen. His articles are widely read, and his professional clients include the American Red Cross, Memorial Hermann Children′s Hospital, and many other small and large international businesses. He is also the author ofThe E–Code,The Attractor Factor, andLife′s Missing Instruction Manual, all from Wiley. For more information, see Joe′s Web site at www.MrFire.com. Bill HIbbler is the owner of Gigtime Media, an Internet marketing consulting firm. 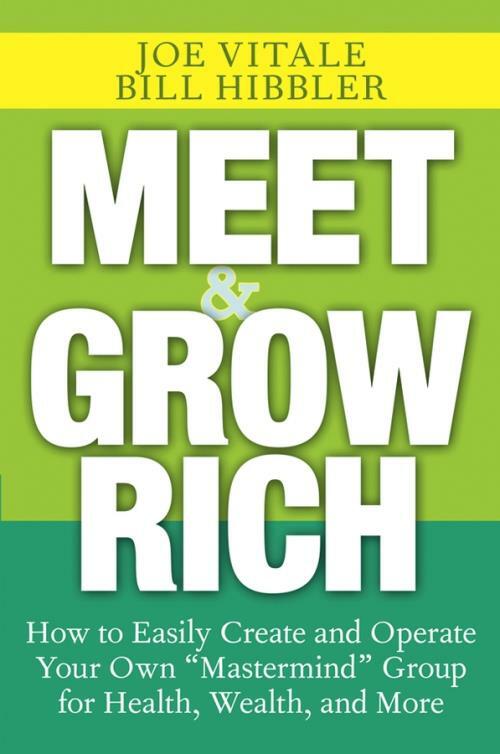 He is the founder and director of www.MeetandGrowRich.com; coauthor of several bestselling e–books; and the publisher of E–Commerce Confidential, a newsletter for online marketers.